My current pitiful attempts at ‘running-to-get-fit’ often take me past a lovely peaceful corner down by the lakeshore. It looks like a flower-bestowed grave – there’s even a little engraved stone – but it’s not. It’s just a memorial to a guy. A good guy. A guy I knew. Liam Durkan came into our then-workplace in 1998 to organise us all towards ISO 9001 Certification. My first impression of him was that he was Clark Kent; suited, bespectacled, hiding inner strength beneath a mild-mannered frame… boy, was I right. Me and Liam had to shuffle a lot of paperwork together over the next few years. There was many hours locked up in a stuffy room, thrashing things out. I came to like him a lot. He was cool and understated but he had a wicked sense of humour and a keen eye for a bit of fun. We were in the pub after work one evening and I was suffering. I had an ingrown toenail and I was being utterly miserable about it to anyone who would listen to me. Liam was full of genuine sympathy, “There’s nothing worse than a sore toe,” he agreed as he made for the bar. Somebody prodded me. “What kind of a gobshite are you?” they asked, “going on at that man about your bloody toe. Don’t you know he has cancer?” I did know he had cancer, I knew he had it bad, but I had forgotten. I had forgotten enough to lay my own minor twinge at his door for sympathy and he was cool enough to have plenty to spare for me. It was easy to forget that Liam was unwell, he certainly would never remind you. Liam suffered from his cancer for all the years I knew him. It never defined him at all. He was so many things to so many people, but he was never simply ‘cancer’. I remember getting pissed with him, one night, after we finally got our ISO accreditation. I can count the times in my life when I have been pissed on the fingers of one hand. For me it’s partly an exercise in trust in the company I am in. There was no problem letting rip with Liam though, he dealt with it in the best way imaginable – he got pissed too. I played golf with him a few times (back when I played). There was a Different Liam. That was the closest I ever seen to the Clark Kent guise coming off and the Man of Steel beneath showing out. Golf was a serious business to him and he played it earnestly and well. Conversely, he truly hated to be playing badly. I remember a little white ball stuck in some tree at Ballinrobe and a seven iron being smashed repeatedly off a low stone wall. “Emm… Liam, it’s only a game mate…” (said from a fair distance away). And that memorial to Liam down by the lake is no random thing. While others would have been laid-low and focused on their own tribulations, Liam was at the lake, physically and spiritually, fighting and working to improve the amenity, get lighting on it, tidy it up... It’s a beautiful place now, a good place to be remembered for. Liam died in 2004. I had to go and look that up. It feels more like two years ago to me, that’s how time seems to go these days. I think we live on after we die, at least in the way people remember us. We’re a bit shy about remembering those who have died, at least out loud where everyone can hear us and remember too. There’s no real point in this week’s post, I’m just remembering Liam. Time is a funny thing. I have an odd disregard for it. When I’m done with it I’m done with it. I tend to think in terms of ‘a while ago’, ‘a long while ago’, ‘a bloody long while ago’ and so on and so forth. And those designations don’t translate very well into years so there is an emotional component at work there I suspect: the more I feel the passing years the longer those years feel. I have three train tickets in my wallet marking three significant events in my life, two of them being deaths. I couldn’t tell you off the top of my head when either of my parents died. Having checked the tickets I find that my father died on 11 December 1995 and my mother on 4 July 1998 and I’m still not sure how long a while ago that feels to me. That my dad has been dead for nearly sixteen years kinda surprises me. In my head I’m still a teenager and no one should be able to look back sixteen years at anything other than their birth. I remember once talking to my daughter about punk rock and she gently reminded me that she hadn’t been born until 1980 and, yes, that makes her thirty-one now and that’s another thing about time. How the hell did I manage to have a thirty-one-year-old daughter? I feel like I’ve lived four lives since that time. I really don’t get time. I like the sound of Liam. And I enjoyed spending that 'little bit of time in his company' thanks to you, Ken. PS: I've had to retrieve my golf clubs from trees a few times in my life. Bloody game. I thoroughly enjoyed this, Ken. Recalling a man for what made him a great person and not for the thing that took him away. That factor is often forgotten when remembering those we've lost. PPS (for Simon's benefit)- I gave up the game of golf after cracking my Dad around the face with a 3 wood; accidentally, I hasten to add. Thank you for sharing your memory of Liam. It made me think about many things, about how others perceive us, how we forget so easily about others' difficulties. I'm experiencing an ongoing chronic illness at the moment, and it's a challenge, I want to remain being me, and not be defined by my illness, so I haven't talked about it that much. Despite the fact that it debilitates me in my life every single day. Simon: Yeah, you and Liam would have got on pretty good, he was a man's man. Ken, I love your description of Liam as Superman (well Clark Kent) as from losing way too many loved ones myself I found people almost become superhuman when their mortality is challenged, you see people almost with the courage, strength and optimistic outlook many of us overlook with our pointless distractions in life that really are unimportant, it gives them perspective or what truly matters and that is LIFE and Love, family & friends, doing what makes you happy without regrets and making the most of life becoming wiser with age and seeing the world change around you. Being part of the world and making a difference even if its purely just having a family and creating your own generations for the future. Everything makes a difference and Liam certainly did for you if only to see things differently. I am sure Liam would love your description of him and you decribed him in such a beautiful way that although we (your readers) hadnt met him, we almost wish we had purely on your words alone. Its heartbreaking as we go on in life we lose many great people and have to move on in the knowledge it isnt forever (physically) and things will change be it good or bad, either way it is a lesson and everytime we experience a loss it is almost a wake up call to appreciate life and those you care for in your life. I think the fact that it only seems to you to be 2 years since Liam died is a trubute to your friendship with him. He's still close to you and that matters when we genuinely like people ... Liam sounds as if he was so worthy of that friendship ... I hope he stays with you for many years to come. The way you describe him ... I think I'd have liked him too. It was when you wrote, “Liam died in 2004. I had to go and look that up. It feels more like two years ago to me, that’s how time seems to go these days,” that I started to formulate my comment, Ken. I am always taken back a little when people can rattle off dates of death because I struggle to remember dates of birth. My mother was born on Boxing Day so that’s a hard one to forget and my brother was born on May 15th which was the same birthday as my one-time best friend, Neil, who went to Australia and the same month as me which is why I probably remember that one. My dad’s birthday is in April but I forget the date and I can’t even remember the month my sister was born but I’d guess February. My daughter’s birthday is July 19th 1980 the same day as the Olympic Games commenced in Moscow but I only know that because she’s just had a birthday. Ask me in six months and I won’t be able to tell you if it’s the 17th or the 19th. I can remember my wedding anniversary because it was two days before Xmas but I forget the year – seriously. I just don’t seem to feel any attachment to dates nor any great desire to memorialise things. I’m coming up to my fourth year anniversary on my blog but it’ll pass without comment as did my 400th post a while back. Carrie was born in June but I have to check the date every year and if you asked me what year I’d have to work it out: she’s twelve years older than me, I was born in 1959 so she must have been born in 1947. Oh, and for the record, the dates of my parents’ deaths are starting to fade already. I can remember the months and the years but the days have gone and it won’t be long before the rest goes too. I should run to get fit too. Can you do it for me? Liam sounds like someone worth remembering and great to have known. We had a family funeral this week and my Mother seems never to be far from the topic of death, dying and afterwards. This month I decided I do not believe in god. So that's given her something new to talk about. But she's not a firm church-goer. Just from the generation where that's what you do and how you think. Last night Stephen Hawkings was on TV, a new show on Discover called Curiousity. It was about god and did god create the universe. Hawking, as you might guess, says no about the god issue. It's interesting how things all come together at the same time, isn't it? I haven't though about god, death, dying, and afterwards for a long time other than an interest in old and neglected graveyards/ cemeteries. But here and now it seems the issue is all over my world. Even in your Irish rover of a blog. Your tribute to Liam was lovely to read, especially the golf part where you painted him as human after all. When I die... I will leave no one behind (no children, just a brother and sisters and maybe my Mother if I beat her to it). At the funeral this past week I listened to my cousin's daughter talk about her. It was lovely, sentimental and a good tribute to a Mother lost. My Mother likes what I wrote as a speech about my Father when he died a few years ago. I didn't even like him as a person. What will anyone say about me. No one here really knows me. They think they do. I think, in the end, I'd like nothing. I'd like to be in a building that blows up or lost in a shipwreck. No body. Then, maybe, I won't give in to the temptation to see what thy say about me. Maybe if you've been blown up you can't ghost around afterwards. That's my little misguided theory. Anyway, once you decide you don't believe in god, it's interesting to see what you do have left to believe in about the whole afterwards. I still believe in reincarnation but now you have to wonder who's behind it all, who guides the process along and makes the decisions. This is a windy and twisted comment. Should keep you busy a minute and a half, if nothing else. I am sitting here in Singapore with tears flowing down my warm cheeks after just discovering that Liam has passed away so many years ago and I never knew. Liam was my Open University MBA buddy when we both studied for the masters degree at University of Limerick in the early 90's. We had a common goal to pursue and also a family connection as Liam had originally come from Templemore, Co Tipperary and lived part of his childhood directly across the road from my grandparents. I did not remember our first encounter as young children in Templemore but certainly remembered our next encounter as adults at the MBA classes and struck up a great supporting relationship through our hours of studying, exams and weekend tutorials to reach our graduation in the early 90's. I remember the celebrations after each exam results and the games of golf at Ennis, Co Clare the morning after to clear our foggy heads. I clearly remember the day Liam called over to our house in Dublin and mentioning he had something to discuss and asked if we could go for a walk. I also had something to tell him, that I had just been recently made redundant from the company and did not know how to react or follow through from this unexpected action. In true form Liam listened attentively to my discourse and offered the best advise - " You think I suffered all these years to study with you for your MBA and not get off your arse and use it ... you gob****". He casually mentioned that he had been for some medical tests and the news was not great but nothing to worry about. This was the strength of character of the man that would listen to others and offer support, advise and true friendship but never invoke his issues or troubles on others. Years have passed and I sad to say I lost touch with Liam and now working in Singapore. I want to thank you for such a wonderful article about Liam and to bring back such great memories of a "Man's Man". Dear Derry, I'm sorry you had to find out in this way. Thank you for your note, which I will value. The lake I wrote about here is an ever-thriving place. There's a new bridge and a lovely complete circuit around now. It's great and Liam was among the first to show everybody how great it could be if we respected a bit more. I still pass his memorial several times a week and remember him as you do. What I very moving and poignant piece Ken. Sad yes his friend had no idea he had passed away, but if there was anyway of receiving such news then your tribute could not be faulted. Ken, I can't believe I'm only seeing this now. 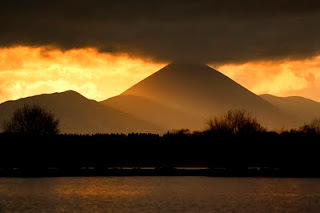 I'm sitting here in tears having come across your blog while searching for photos of Lough Lannagh. Liam was my brother.... My one and only, and I miss him so much. Your tribute to Liam is absolutely beautiful and has me feeling very sad but also very proud to have had such a fantastic brother. He was everything you say he was . We're having a Memorial Walk for Liam on June 21st at Lough Lannagh to mark his ten year anniversary and hopefully to raise a few bob for Rock Rose House Cancer Support Centre. I'd love to have a chat with you about it. Hopefully you might join us too. In the meantime thanks so much for your beautiful words . Liam sure would have enjoyed them.